In a personal injury case, a victim can be awarded economic damages and non-economic damages. Economic damages are things that we can count, or which are “out of pocket,” such as medical bills or lost wages. Non-economic damages include things that don’t have a price tag on them. They include things like pain, suffering, anxiety, emotional distress or loss of the quality of life. Because there is no way to put a value on these things–no bill with a dollar figure on it –many defendants try to question the jury’s logic when a large non-economic damage award is awarded by the jury. Such is the case in a recent tobacco litigation verdict involving the death of a man that was addicted to nicotine. The jury heard the victim’s daughter, 22 at the time of her father’s death, testify that her father had stayed home from work to raise his kids, and that once she was older, the daughter had moved to the Florida keys to be close to her father and take care of him. The victim cared for his daughter until death, and the daughter refused to have anybody walk her down the aisle after her father’s death. In the end, the man’s wife helped take care of him, as he was unable to walk or use the restroom on his own and was being administered morphine daily for pain. The victim’s attorney in the wrongful death suit asked for $11 million and $7 million in non-economic damages for the victim’s wife and daughter, respectively. The jury ultimately came back with an award of $15 and $6 million. The defendant tobacco company appealed, seeking to overturn the jury’s decision (allowable under Florida law), which it claimed was excessive. The appellate court noted that there was no test as to whether damages are excessive or not. That determination is solely for a jury to make, based on their life experiences, and their own experience of pain and loss. So long as the verdict is not unreasonable, or completely unsupported by evidence, it will be allowed to stand in recognition that juries’ decisions should not be second guessed. The court also noted that the jury had rejected the plaintiff’s requests for punitive damages, showing that the jury was not acting emotionally. And although other tobacco related cases involving death had lead to verdicts that were slightly lower, other verdicts do not establish what is reasonable in any given case. Were you injured because of an accident or a defective product? 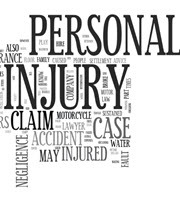 Contact the West Palm Beach personal injury lawyers at the Celeste Law Firm today for a consultation if you have been injured in an accident.